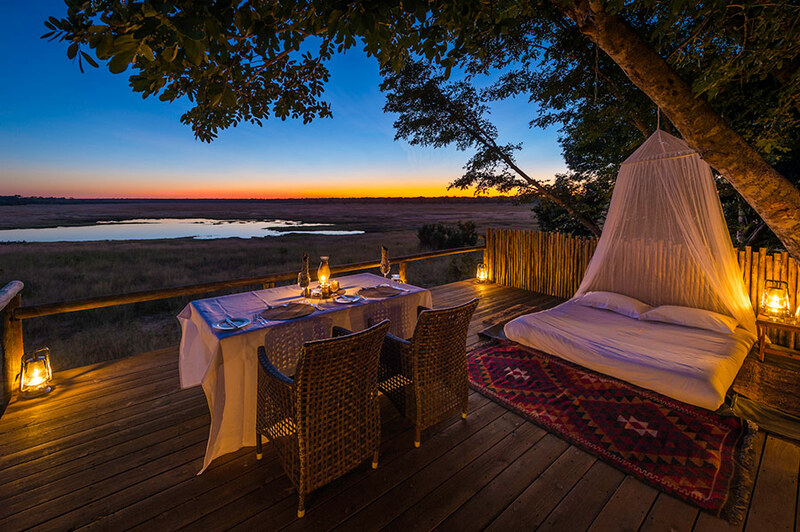 Zimbabwe is fast regaining its place in the world of exceptional safari experiences. It has the advantage of being less crowded and not as expensive as some of its neighbours, contributing to experiences that feel original and authentic. 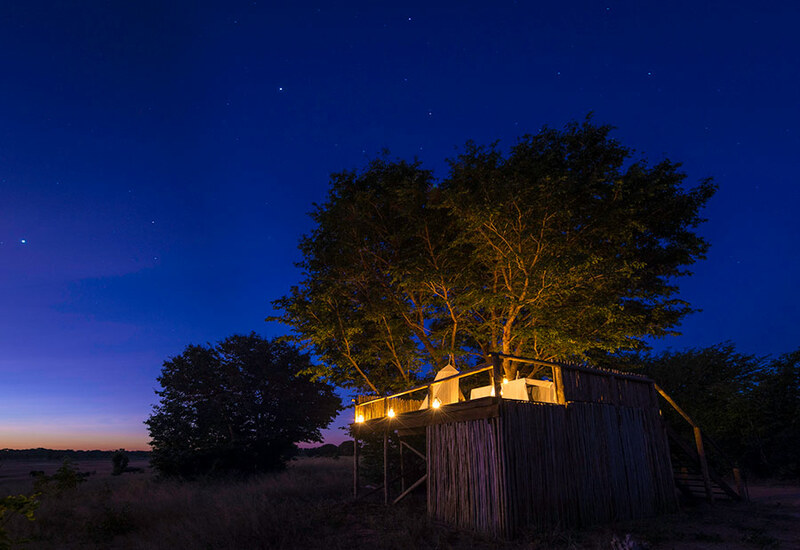 Bordered by the great Zambezi River in the north and the Limpopo River in the south, the many different topographies craft a landscape of exceptional beauty – granite hills, majestic mountains, woodland forests and vast plains. Aside from the abundant wildlife and many iconic national parks, there is an unrivalled warm hospitality from its people, and there are rich cultural experiences at every turn. 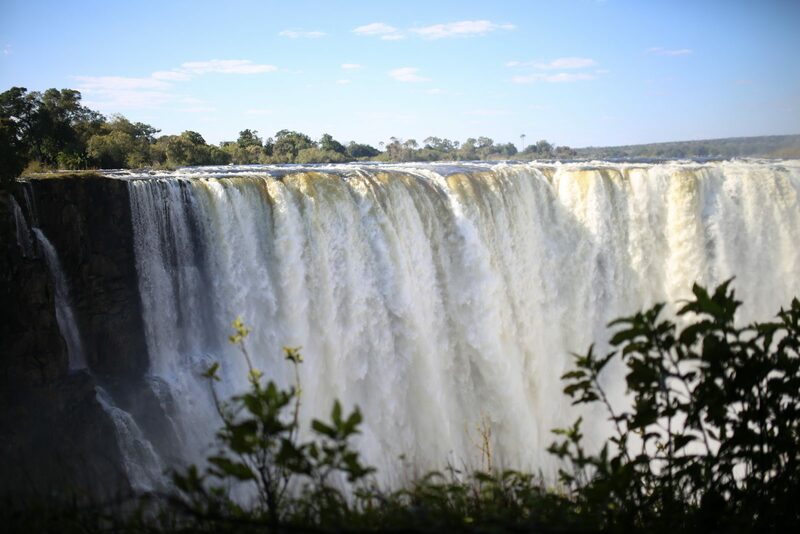 The Victoria Falls, one of the natural wonders of the world, are among the biggest attractions in Africa. They provide a gateway to many other safari add-ons. Aside from the dramatic viewing of the massive force of the water that roars into the gorge below, there are lazy sunset cruises on the river or, for the more adventurous, bungee jumping, white-water rafting and abseiling. 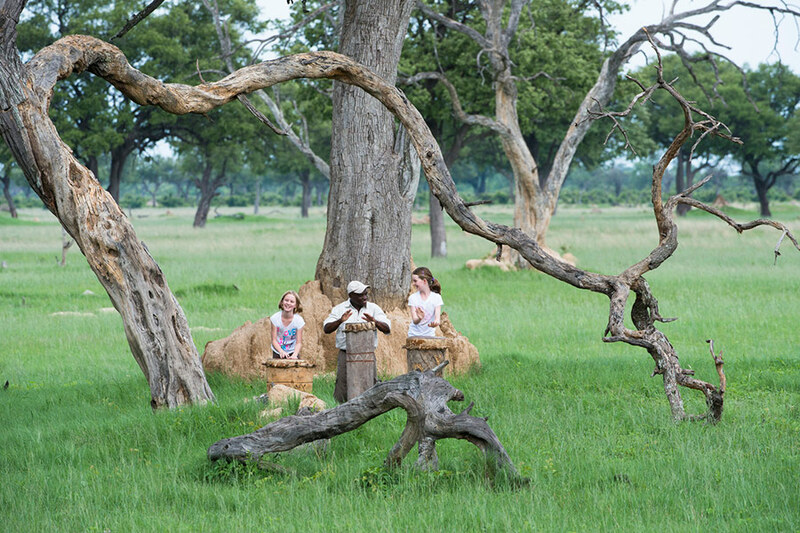 Hwange National Park, not far from the Falls, is Zimbabwe’s flagship game reserve. 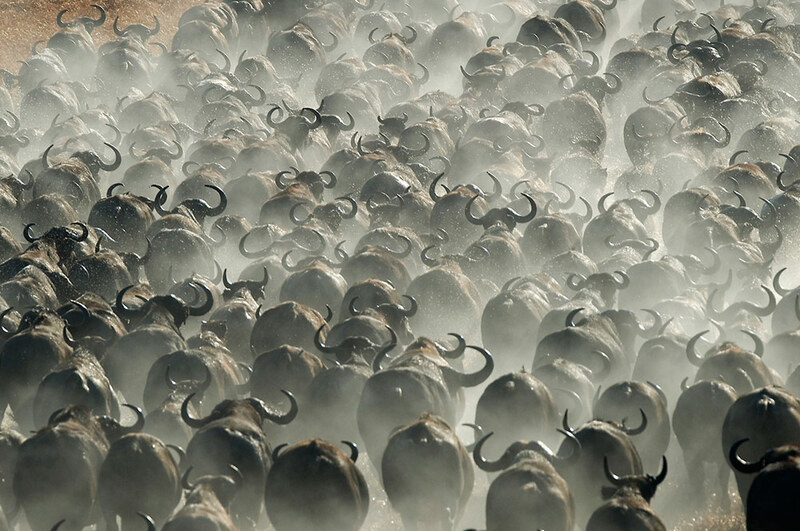 It is packed with Big Five game, but is most noted for the immense herds of buffalo and elephant. 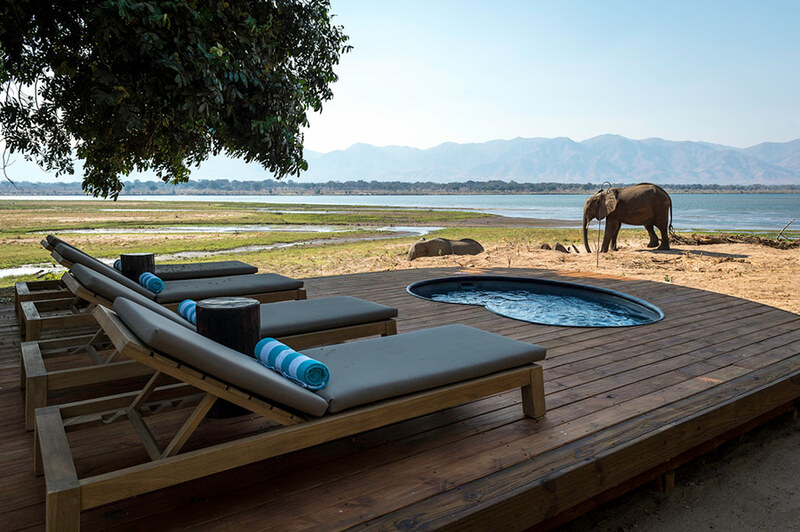 Mana Pools National Park is situated alongside the Zambezi River so game encounters include hippos and crocodiles, as well as remarkable birdlife. 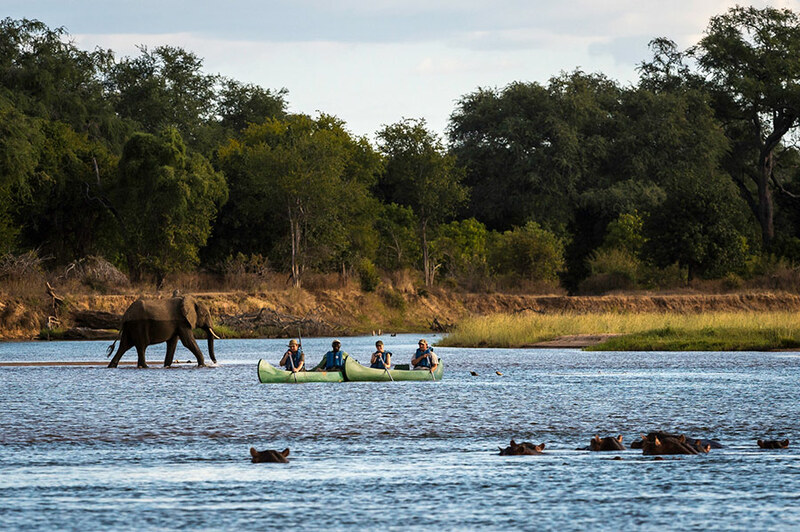 Guided walking or canoe safaris can take you a little closer, providing a more thrilling and intimate wildlife experience. 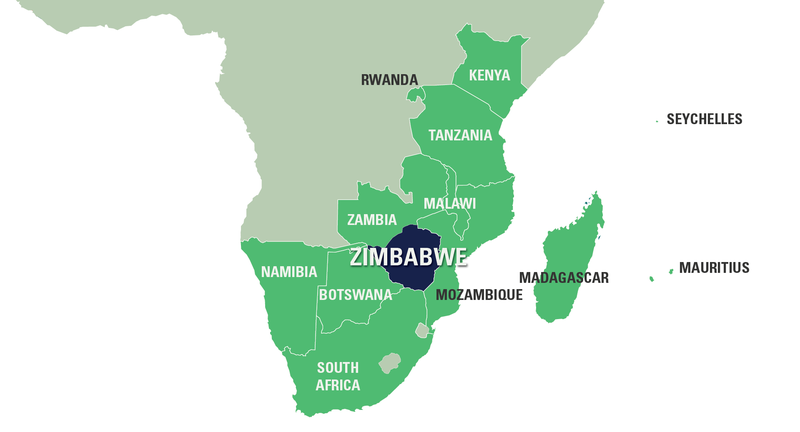 Language: Shona and Ndebele are the most common local languages, but English is widely spoken. Health: It is advisable to take anti-malaria pills. Please consult your doctor before you travel to ensure you are up to date with all your travel vaccinations. Visas: Visas are required for most visitors and can usually be obtained on entry. Please check with your local embassy as visa criteria does change regularly. 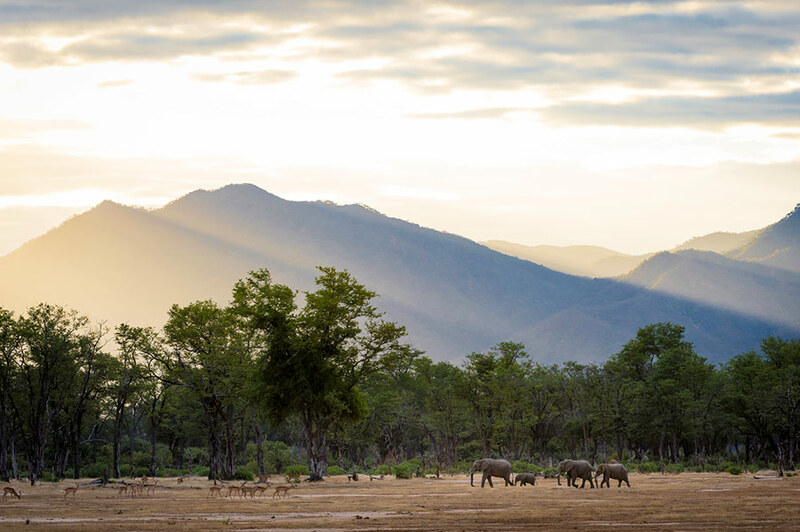 When to go: Zimbabwe is a year-round destination. 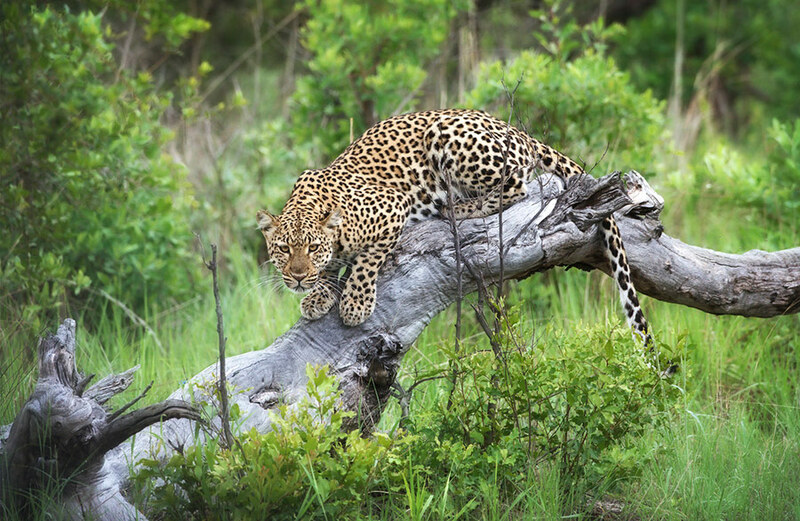 The cooler, dry months from May to September are preferred for safaris as the game is more prolific. 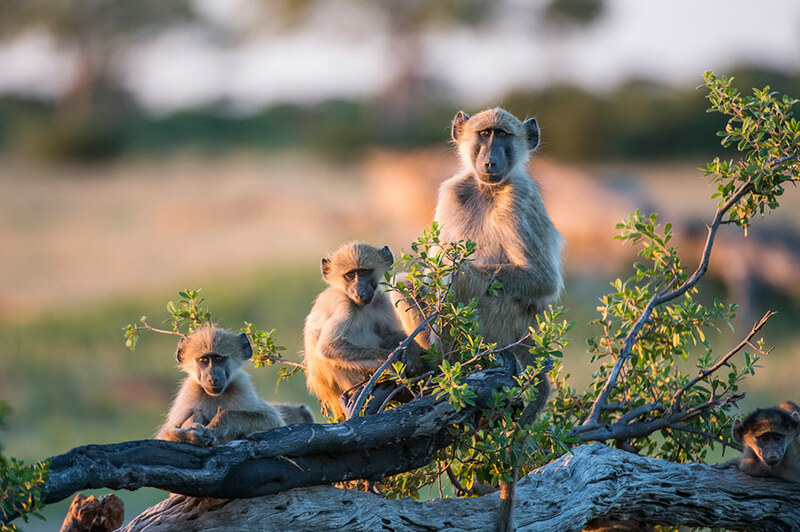 The summer months between October and April, while hot and rainy, are less crowded and the bush is lush and green – great for birding and full of new-born animals. Be warned that October is uncomfortably hot. The best time to view the Falls is from April to June when there is a lot of water and they are at their most dramatic. Between August and December, the Falls are at their lowest and this is the best time for white-water rafting.